Item # 312667 Stash Points: 1,495 (?) This is the number of points you get in The Zumiez Stash for purchasing this item. Stash points are redeemable for exclusive rewards only available to Zumiez Stash members. To redeem your points check out the rewards catalog on thestash.zumiez.com. Pick up a sleek new look in the Jenna Dark Pink & Silver Sunglasses. 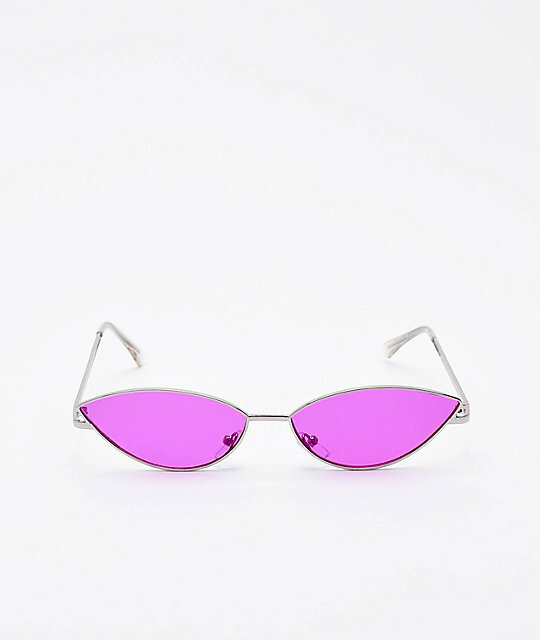 These slick sunnies feature a retro, cat-eye silhouette with silver wire frames and dark pink lenses. The Jenna Dark Pink & Silver Sunglasses offer 100% UV protection so you'll look fly while protecting your eyes. 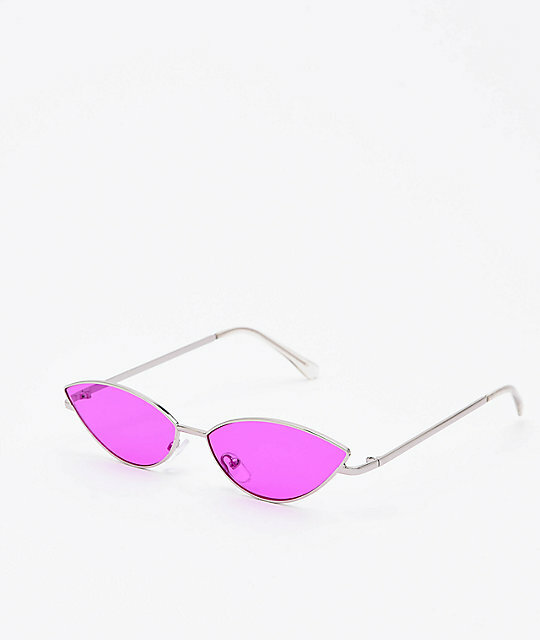 Jenna Dark Pink & Silver Sunglasses. Silver wire frame & arms.